Sonya Dorman – The Future is Female! Sonya Dorman (June 4, 1924–February 14, 2005), born Sonya Gloria Hess in New York City, was raised by foster parents on a farm in West Newbury, Massachusetts, her mother, a dancer and model, dying while she was an infant. Unable to afford more than a year of agricultural college, she worked as a stablehand, maid, fish canner, riding instructor, and tuna boat cook while giving herself an education, reading widely in world literature. After a brief first marriage in 1945–46, she married Jack Dorman, an engineer, in 1950, and had a daughter, Sherri, in 1959. Moving from Stony Point, New York, to West Mystic and then New London, Connecticut, during the 1970s, the family bred Akitas and other dogs and exhibited at dog shows. Dorman published approximately two dozen science fiction stories between 1961 and 1980, gathering three of these as a young adult novel, Planet Patrol, in 1978; she also published fiction in The Saturday Evening Post, Redbook, and other nonspecialist magazines. 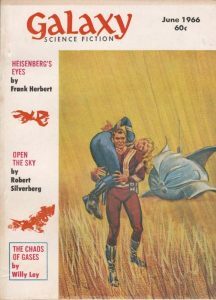 Dorman was particularly associated with science fiction’s “New Wave” of edgy, experimental writing and indeed, her short story “Go, Go, Go, Said the Bird” was featured in Harlan Ellison’s groundbreaking Dangerous Visions anthology (1967). 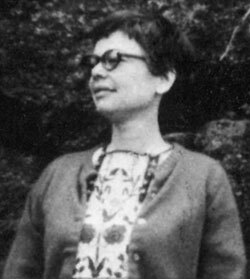 Her experimental novel Onyx was rejected by publishers in 1971, but her collected Poems appeared in 1970, followed by Palace of Earth (1984), Constellations of the Inner Eye (1991), Carrying What You Love (1996), and other volumes of poetry. She moved to Taos, New Mexico, after her divorce in 1986, publishing once again under her maiden name, and died there at eighty. Dorman’s recognition from the science fiction community includes a 1978 Science Fiction Poetry Association Rhysling Award for “The Corruption of Metals,” and a 1995 James Tiptree, Jr. retroactive award for “When I Was Miss Dow” (1963, reprinted in this anthology).